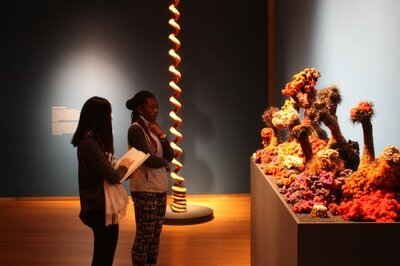 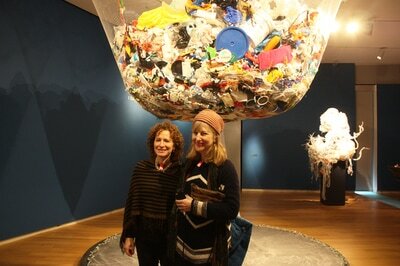 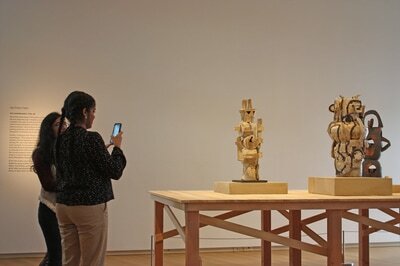 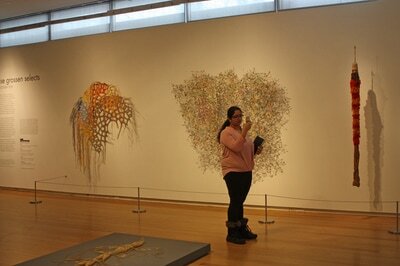 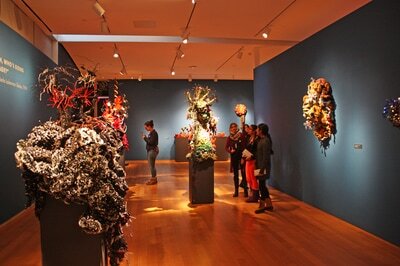 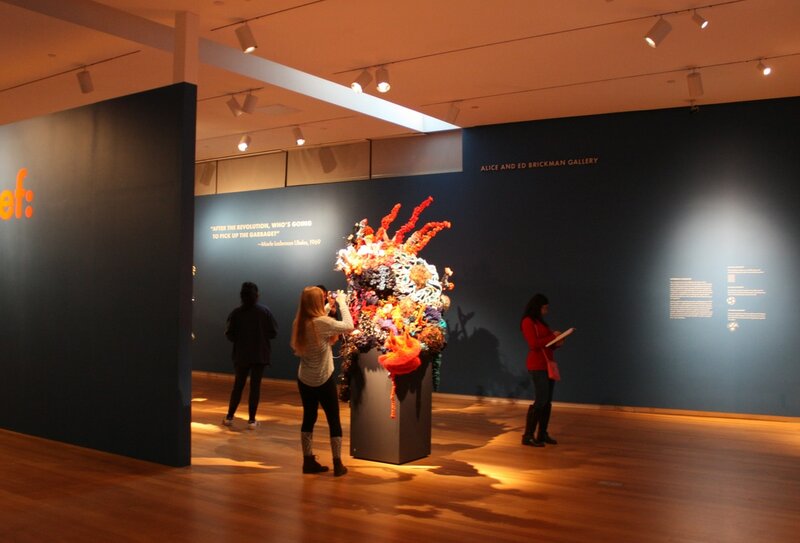 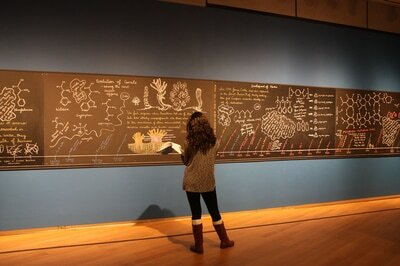 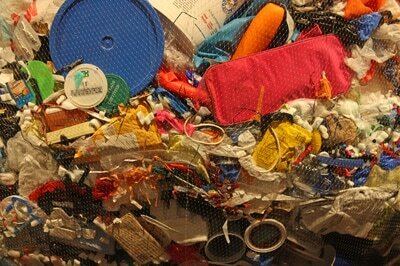 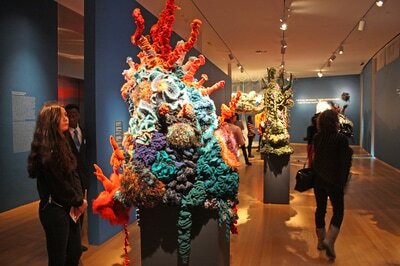 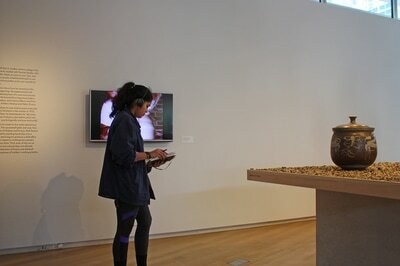 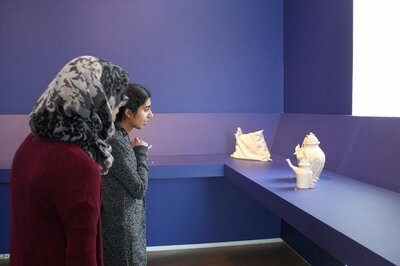 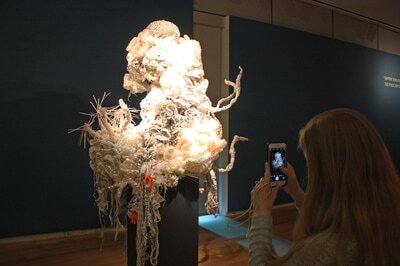 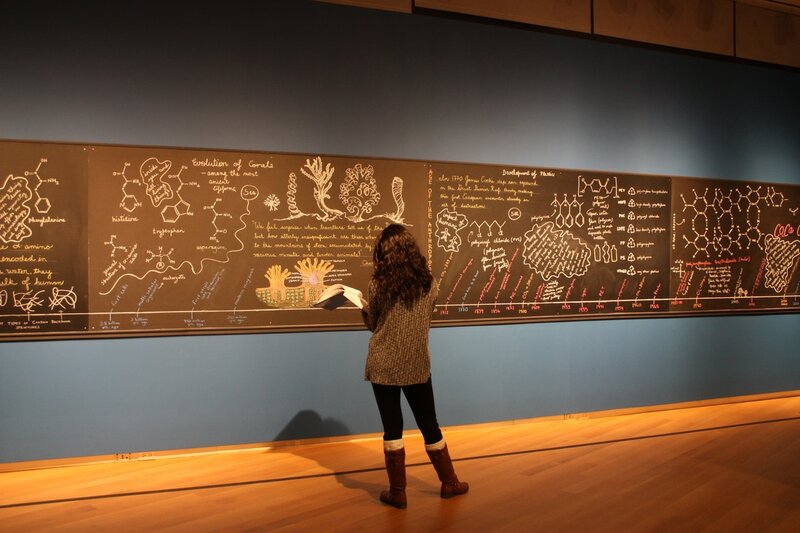 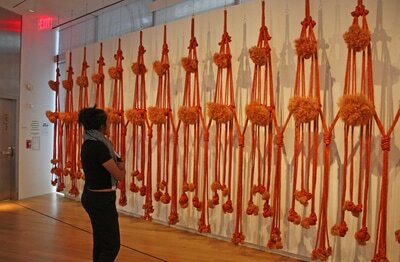 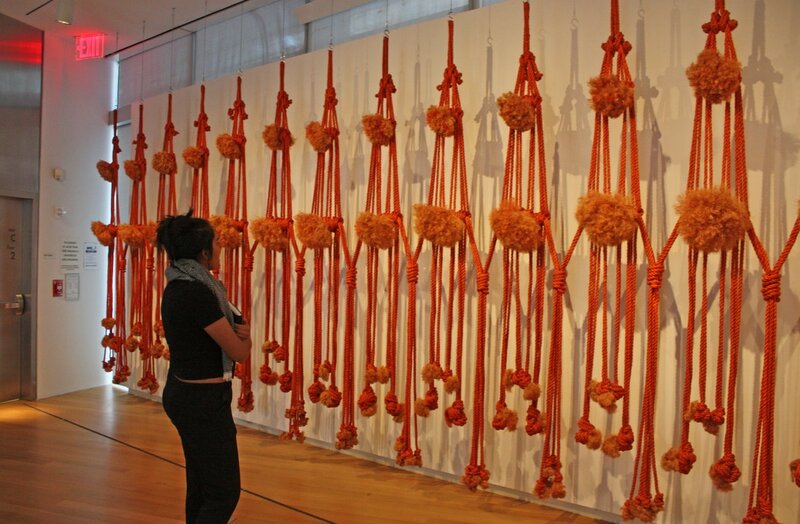 Currently on view at the Museum of Arts and Design is Margaret and Christine Wertheim's "Crochet Coral Reef" project. 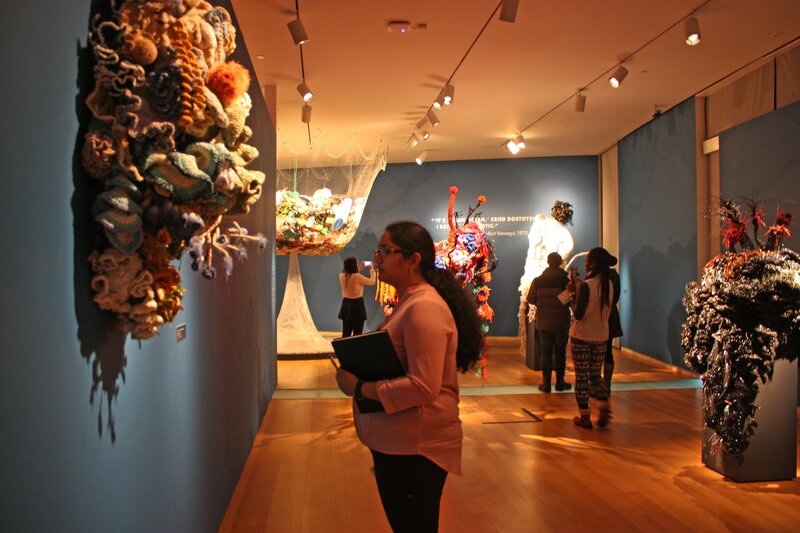 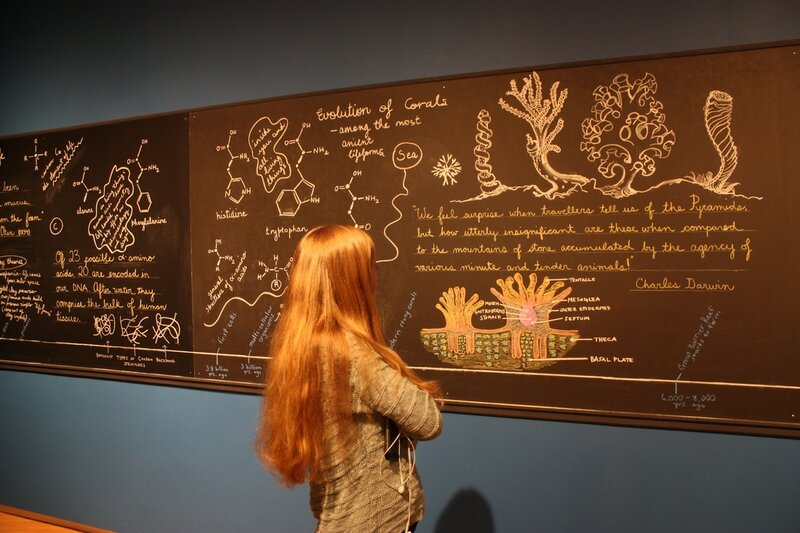 Merging crochet, mathematics, and ocean science, this project is one of the most comprehensive science-art works relating to ocean health, and has been ongoing since 2005. 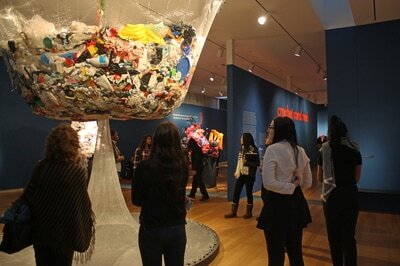 The exhibit served to not only educate about ocean health while dazzling the eye, but showed how materials like trash and plastics can be used to create something beautiful while signifying something so ugly. 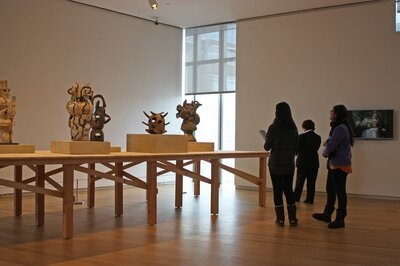 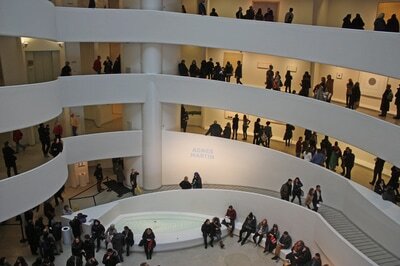 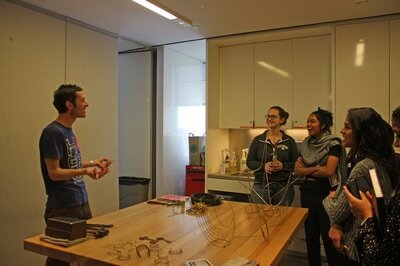 In the afternoon we visited the Guggenheim for the Agnes Martin retrospective. 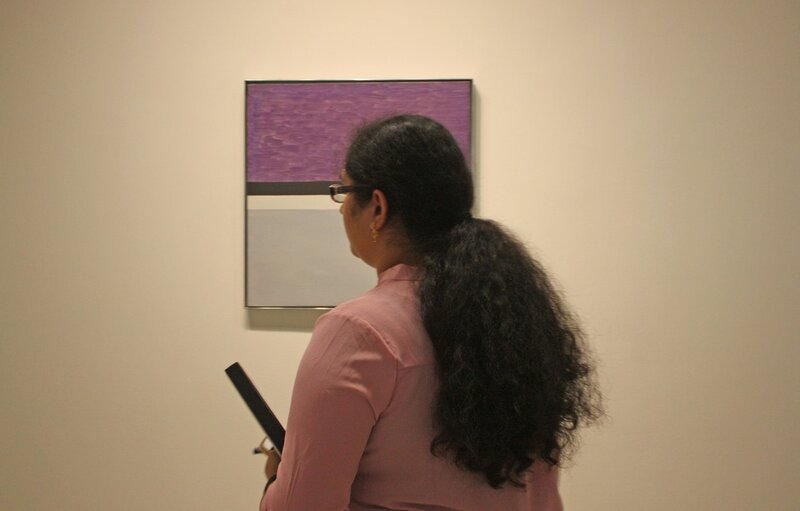 Martin was a seminal painter in the Abstract Expressionist and Minimalist movement. A selection of her work was presented up the rotunda of the museum. 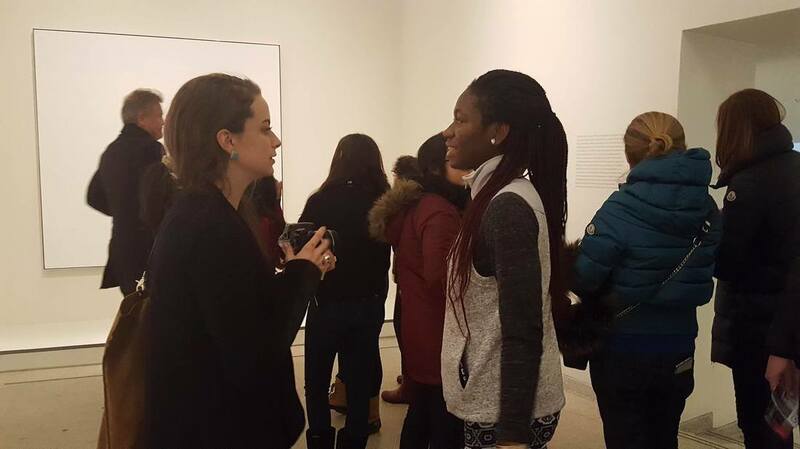 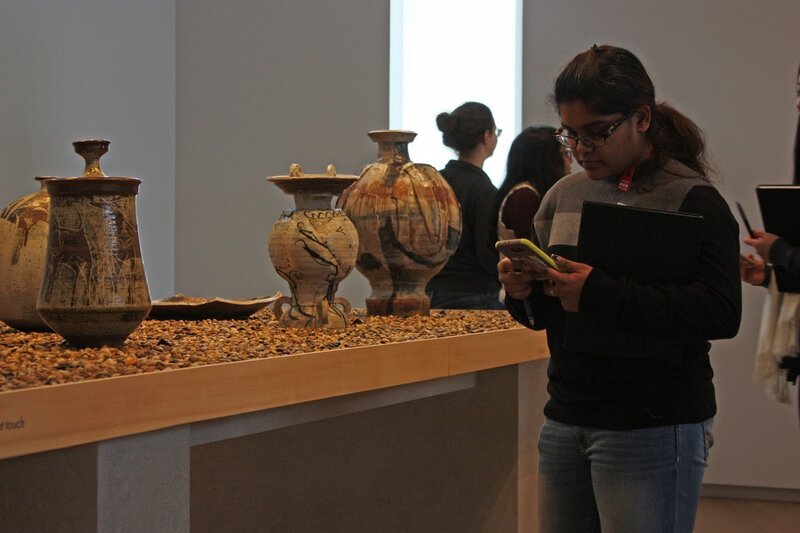 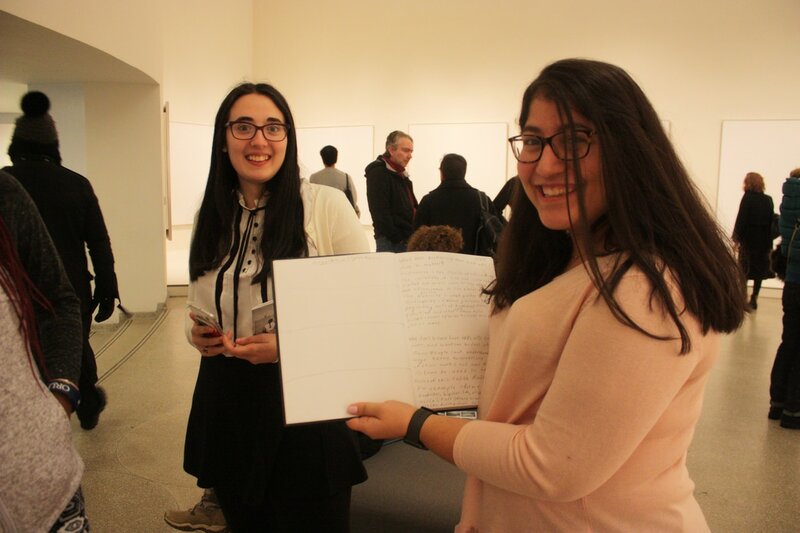 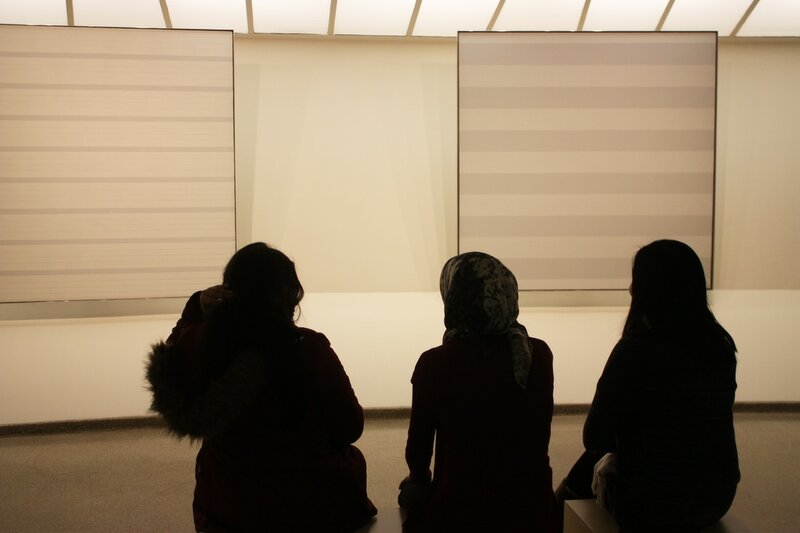 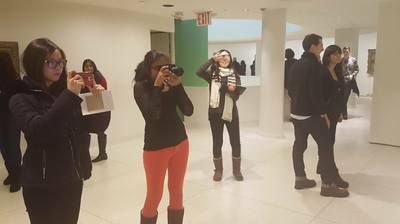 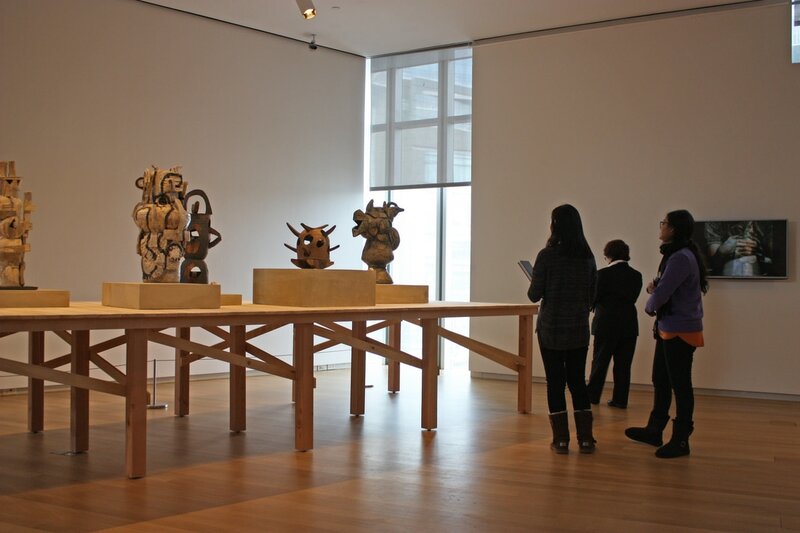 For most students, this was their first experience in viewing minimalist and abstract art, thus introducing the idea of evaluating art on its conceptual and formalist qualities. Additionally, this exhibit served as fantastic insight into the evolution of an artist over their career, as the chronology of Martin's work on display showed how her work changed over time. Jody Oberfelder Projects, led by the eponymous modern dancer, creates dance performances which involve the audience in the kinesthetic understanding of the scientific subject matter at hand. 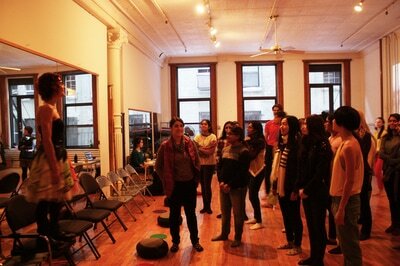 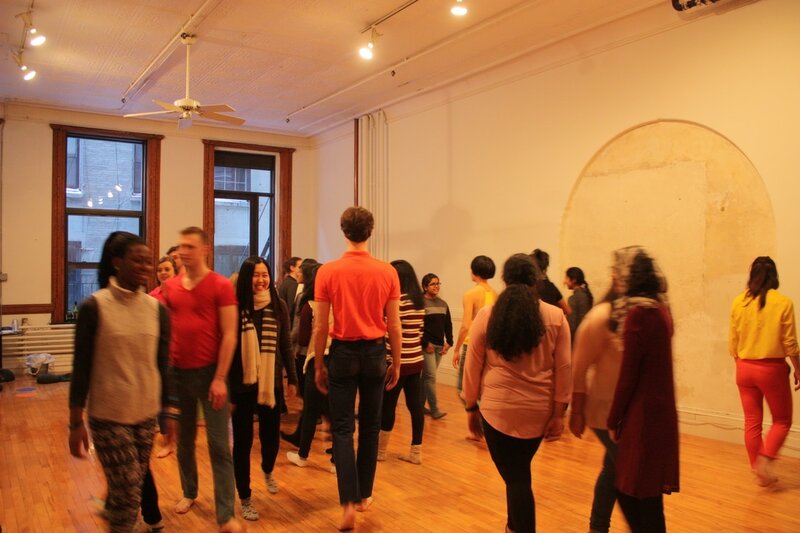 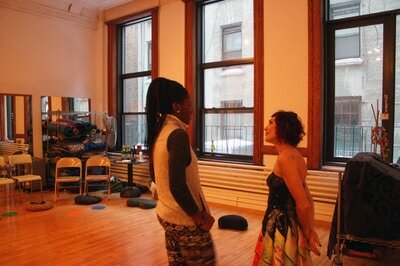 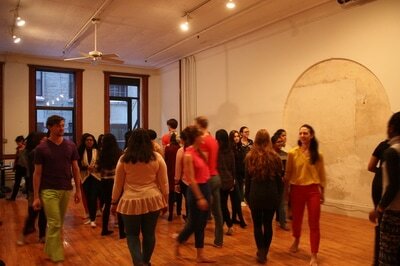 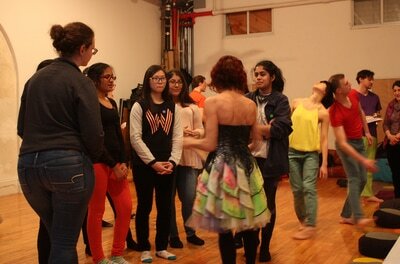 Without my informing the students of what they were about to walk - or dance - into, we visited this performance which began as a series of guided conversations about the mind and memory, which then evolved into connective movement-based activity, all led by docent-dancers. The performance concluded with the docent-dancers taking the stage for a series of choreographed numbers enacting various neuronal behaviors. 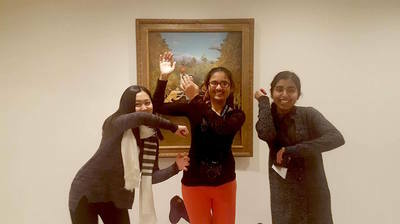 Through embodying the experience of the communication of neurons in movement, students learned about the activity of the brain in a nonverbal way.